Through its simple but thoughtful storytelling, “Goodbye Solo” slowly draws us into its intimate human drama. At the beginning, we are put right into the ongoing conversation between its two main characters, and they cannot possibly look more different from each other to us as their conversation is being continued. We see more gaps and differences between them as we follow their story, but we also see how their accidental encounter leads to something meaningful for both of them. In its slow, subtle progress, coupled with the vivid sense of real life, the movie generates a series of genuine human moments between them, and then it touches us while arriving at its finale with more care and respect toward its two main characters. They are Solo (Souléymane Sy Savané) and William (Red West), and most of the scenes in the movie are viewed through Solo, who is a Senegalese immigrant working as a taxi driver in Winston-Salem, North Carolina. He lives with his Mexican wife Quiera (Carmen Leyva) and her daughter Alex (Diana Franco Galindo), and he is an amiable man of sunny optimism and open-hearted attitude, though he is not exactly happy with the current state of his life. He hopes to be a flight attendant and wishes to see more of the world, but it seems unlikely even when he happens to get a lucky chance for a job interview at a local airline company. While his wife, who is soon going to give a birth to their baby, wants him to take care of his family with more responsibility and stability, he still wants to follow his aspiration. William is a reticent old guy who does not reveal a lot about himself. When the movie begins, he has just made an odd proposition to Solo while riding Solo’s taxi, and Solo cannot help but be amused by this weird offer, although William is very serious about it. He needs somebody who will take him to the Blowing Rock Park on next Saturday morning, and he will pay Solo $1,000 if he provides this personal service to William as promised – but he never talks about whether he wants Solo to take him back to the city after that. 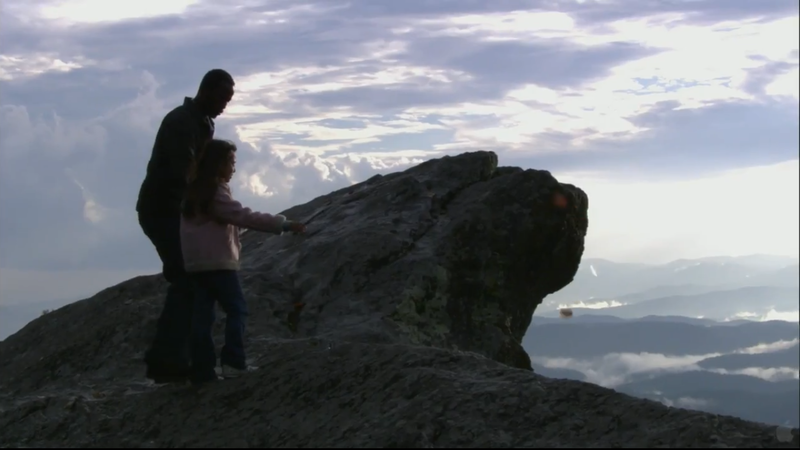 While the deal is eventually made between them, Solo naturally becomes concerned about William, especially after learning that the Blowing Rock Park is well-known for its high mountain cliff and the strong vertical wind blowing upward around the cliff (it is so strong that local people say snow is blown up to the sky at this place). He actively approaches closer to William over the course of several days; he lets William stay for one night at his house before William moves into a motel room, and he continues to hang around William while trying to find any possible way to help him – or why he wants to end his life. William does not welcome Solo much, but he does not repel Solo’s good-willed approach, though what he is planning to do is still an inconvenient truth they never mention or discuss directly. He allows Solo to stay temporarily in his motel room when Solo leaves his house due to his conflict with Quiera. He also gets himself acquainted with Alex, a smart, lively girl who befriends William with no hesitation just like any innocent kid would. He still prefers to keep thoughts and feelings to himself even when he gets chances to enjoy himself through Solo, but he seems to be brightened up a bit, and it is possible that he has some second thoughts on his initial plan. While this is a typical story revolving around two contrasting personalities (it is also reminiscent of Abbas Kiarostami’s “Taste of Cherry” (1997) for their shared subjects), the movie takes its time in building up plot and characters. Seemingly loose and improvised on the surface, the screenplay by the director/editor Ramin Bahrani and his co-writer Bahareh Azimi is exact and efficient in its subtle narrative arc by doling out small but crucial moments to let us know more about its characters. The camera of Michael Simmons, Bahrani’s usual collaborator, succinctly presents these moments in plain but considerate ways as a part of Bahrani’s economic storytelling. During one certain scene involving Solo’s brief conversation with a minor supporting character in the film, the camera merely watches that character’s movement from a distance at the end of the scene, but that is all it needs in order to tell us something about that character in question during that short moment, which takes less than 30 seconds. “Goodbye Solo” is Bahrani’s third work, and he had already distinguished himself as a new talented director to watch at that point. His debut film, “Man Push Cart” (2005), impressed me with its remarkable verisimilitude, which somehow resonated with my memories of the streets of New York even though I have nothing much common with its struggling Pakistani immigrant hero. His following work, “Chop Shop” (2008), is another vivid, realistic slice of hard life from the fringes of American society, and Ale, its young but tough orphan hero striving for a better life for him and his sister in his shabby Queens neighbourhood, is one of unforgettable child characters for his touching resilience and aching vulnerability. Like his previous works, the movie looks at its characters with curiosity and empathy, and it establishes well the authentic mood of their daily life in Winston-Salem, where Bahrani grew up under his Iranian immigrant parents. Bahrani worked closely with his two main actors through several weeks of preparation before shooting, and the rest of the cast mainly consisting of local non-professional actors bring more realistic touches to the film. The taxi stand shown in the film is a real one, and Solo’s colleagues are also real taxi drivers, and so is that unseen operator busily communicating with taxi drivers behind the window. When the movie was invited to Ebertfest last year, Bahrani told the audience an amusing anecdote about one of his non-professional cast members; that shabby guy at the taxi stand was an alcoholic who would go drinking whenever money came handy to him, so Bahrani had to pay him bit by bit while shooting scenes with him. His two leading actors give natural nuanced performances while effectively complementing each other. Devoid of any artificial aspect, they simply present their characters as distinctive human beings, and we believe in their characters from the very start. Souléymane Sy Savané, who made a debut with this film (he is from Ivory Coast, by the way), instantly earns our affection with his warm, likable presence, which is the main source of several humorous moments in the film. He moves effortlessly between humor and drama with his open, expressive face, and his face speaks volumes even when the camera just looks at Solo silently driving his taxi from time to time. 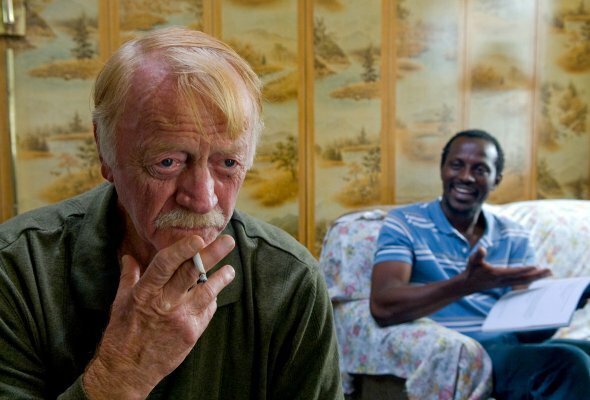 Although many things about William remain vague even in the end, Red West, a veteran actor who has mostly played small supporting characters during his long career (he played a young leukemia patient’s father in Francis Ford Coppola’s “The Rainmaker” (1997), for instance), is also fabulous in his role. Considering his interesting life story (he was a close friend to Elvis Presley during their high school years, and he later worked for Presley as his driver/bodyguard until he got fired not long before Presley’s death), West probably had enough materials to shape his character (but I heard he is a lot different from his blunt character in the film), and his understated performance subtly conveys emotions and thoughts behind his wrinkled face whenever we get a chance to glimpse into his character’s sad, moody state of mind. Meditative and empathetic in its unadorned approach, the movie is a haunting story of kindness, compassion, and understanding. When it finally comes to the expected arrival point at the Blowing Rock Park, it initially seems to be a simple matter of ending the story in one way or another at its inevitable narrative fork, but Bahrani surprises us as hitting a delicate balance between his story subjects, and he sets the right tone for that. The colorful autumn forest shrouded in fog and clouds generates tense but serene ambiance on the screen, and that makes this part feel quite unworldly compared to the other scenes of the film. We sense what is said and understood behind wordless exchanges between the characters during a quiet, elegant moment of powerful emotions, and Bahrani also draws a good performance from young actress Diana Franco Galindo, whose direct, earnest acting is one of the key elements in this moment like Savané and West. 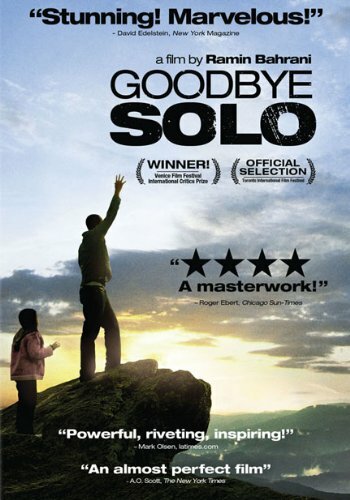 Not long after watching “Man Push Cart” and “Chop Shop”, I got a chance to watch “Goodbye Solo” at the Jeonju International Film Festival in 2009, and, unless they intended some kind of retro style, it was one of the worst movie theater experiences I have ever had in my life. While the old wooden seats were tolerable to some degree, the screen was not big enough for the audience, and the quality of projection was pretty lame to say the least because of dim projection light and many other things which would make any serious moviegoer cringe. To be frank with you, when I recently revisited the movie for writing this review, I felt like watching a new movie at times. I must confess that I was disappointed to know that Bahrani could not come to the festival, but, looking back at that atrocious screening condition, I am glad that he went to Ebertfest instead around that time. Despite such a lousy viewing experience like that, “Goodbye Solo” has remained as one of the best films I saw during that year. When the screening was over, two audience members sitting near me were baffled by its ending and then complained about that, I immediately told them what really mattered is not the ending but the relationship that developed between Solo and William. Regardless of what actually happened around the finale, William and Solo respectively come to learn something valuable through their special relationship in the end – and life will go on as it should.